I don’t know about the rest of you, but after spending the last few weeks literally gorging myself on wine, cheese, chocolate, more wine, dip, crackers, wine again, and then some beer I’m starting to feel like I need to promptly go to a spa, a yoga retreat, the gym, and possibly rehab. 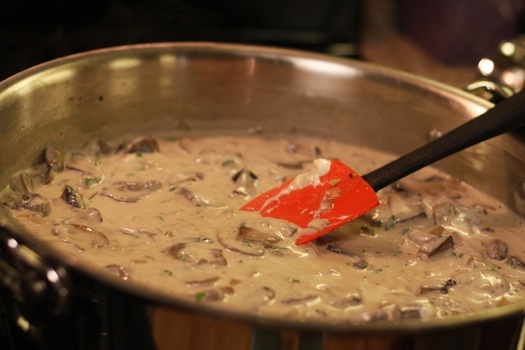 So to lighten up my fatty food intake just a smidgen I decided to make a creamy meatless alternative to the traditional stroganoff by substituting substantial portobello and baby bella mushrooms for beef. 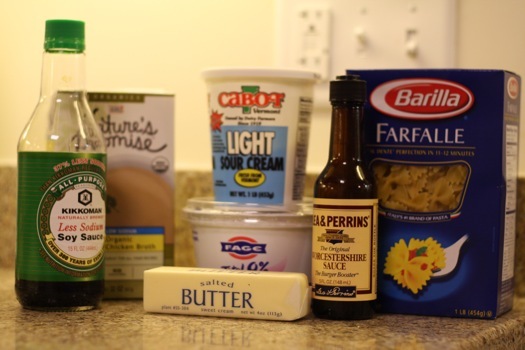 I also reduced the fat of the dish by using a combination of low-fat sour cream and Fage Non-Fat Yogurt. While this isn’t a perfect “lighten up” meal, it sure beats the heck out of brittle, turnovers, and fettuccine. Bring a large pot of salted water to a boil. 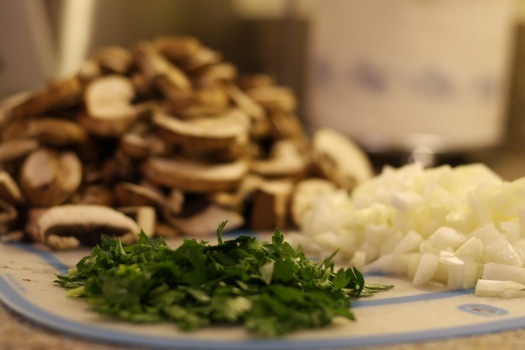 Add noodles, and cook according to your desired level of doneness. Remove from heat, drain, and set aside. 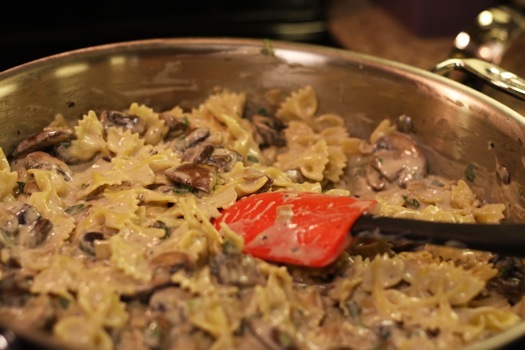 While the pasta is cooking, melt the butter in a large heavy skillet over medium heat. 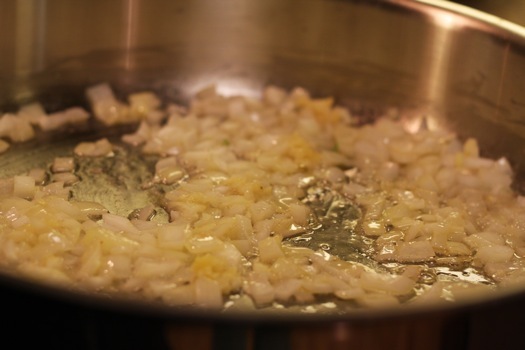 Add onions and garlic, and cook, stirring until softened. 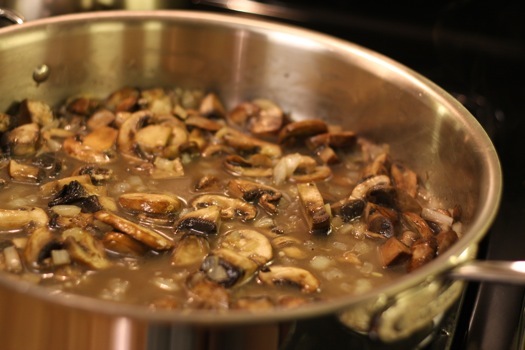 Add the sliced mushrooms, cooking until they are softened and lightly browned. Next add the stock, soy and Worcestershire sauces. Bring the sauce to a boil, and cook until the mixture has reduced by 1/3. 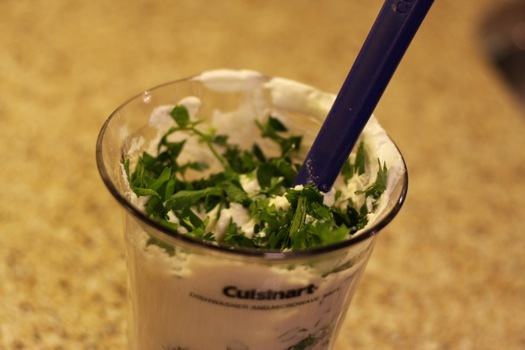 In a small bowl combine the sour cream and flour and parsley. Add this mixture to the pan and stir. Continue cooking over low heat, just until the sauce thickens. 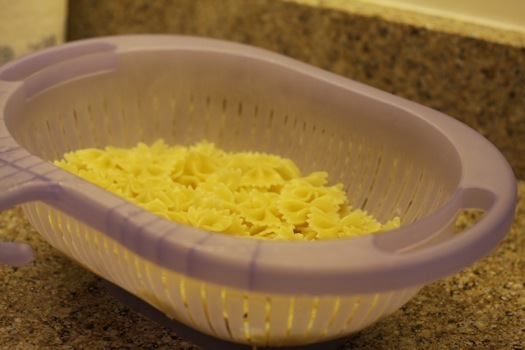 Pour the pasta into the sauce and cook until the dish is evenly heated through. Serve, seasoning with salt and pepper and garnish with additional parsley and a dollop of sour cream. I think this is fantastic, especially as your immediate removal of meat creates a lighter tax on your digestive system and with other similar actions taken you can quickly redeem yourself from the Holiday gorging! Plus, it looks ultimately delicious. Enjoying your blog! I love to cook, too, though I sure as heck don’t do it as much as I should. And I’m always looking for new recipes – can’t wait to try some of the ones you have up here. 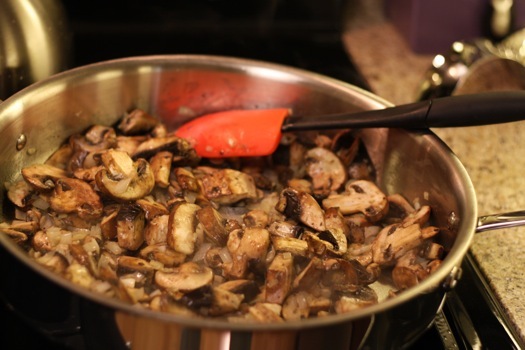 That looks so good – I love mushrooms, but unfortunately I face considerable family opposition. I might just have to wait until everybody’s out…! I made this last night and it was addictively delish. This looks absolutely delicious! 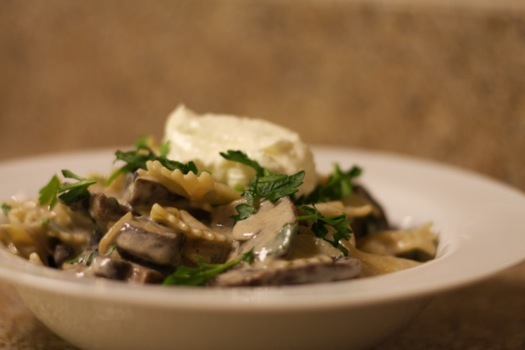 And I love mushroom/creamy ingredients with pasta! I want to put that Mmmmm… in Me! Fage yogurt rules, by the way. Yum! Used all Greek yogurt, plus added some Dijon. Also added kale and dill, then mixed it all up with wild rice to create a kind of dreamy mix of stroganoff and risotto. Also, subbed leeks for onions; plus added breadcrumbs before baking at low heat in a casserole dish. (I am the kind of person who can’t resist altering a recipe just a little bit.) Thanks for the idea!